​TR3 prides itself on being able to provide a full suite of services to our clients. We have the tools and expertise to return your site to it's former state. 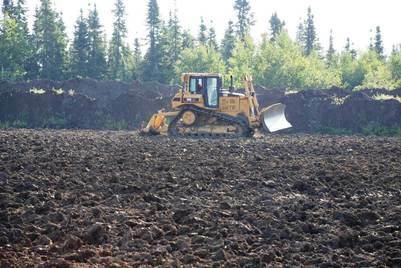 Bulk soil transport, subsoil and topsoil replacement, rotospik, seeding, fencing, etc., - we are a one stop shop for all your surface reclamation needs. TR3’s equipment fleet includes a full line of final reclamation equipment for linear developments as well as lease restoration. In addition to our surface soil equipment, we have crew trucks, trailers, tractors, and general labourers for projects that require specialty services.